A pretty smart guy once had some wise words to share with us about energy. Essential oils are one of many ways to help shift your energy. Last night I felt wiggly as I sensed the approach of a new week with several appointments and changes. I diffused some Balance and Serenity and soon felt myself returning to homeostasis. 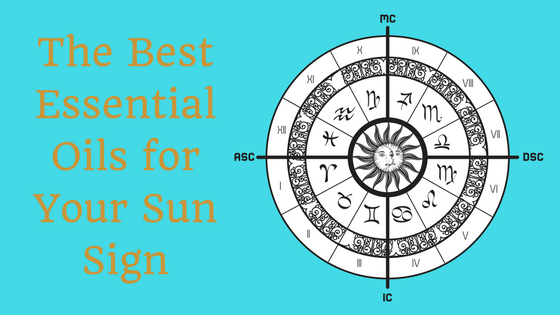 Astrology is another way that I explore my personal energy and the energy of the universe, which got me thinking about how to combine the two: how can we use our sun sign to help us choose the best essential oils for our energetic profile? Like everything else in life, astrology lives inside of the law of moderation. I’ll use myself as an example here. I’m a Libra, a sign represented by the scales. I met a fellow Libra at my doctor’s office the other day (we actually share the same birthday which felt like a lovely sign that my healing is on track) and when I said, “Oh a fellow Libra!” she laughed and said, “I’m a true Libra. I can see the good and bad in everything.” I knew exactly what she meant. It might seem like a great gift to be able to see both sides of everything, and it is. But it can also be my greatest curse. I can be paralyzed by indecision. I’m constantly aware that if I choose one path that I’m forgoing another path. I have a really tough time with boundaries, even if someone is a jerk to me, because I always see the good in them. I can be judgmental of fantastic people because I can see all of the ways that they might improve. Part of my journey is learning how to decide. If not, I’ll just circle the drain. We all have this shadow side. Our shadow is what happens when we overindulge in our tendencies and stray from the middle path. That being said, the challenge isn’t to disown my Libra energy. If I did that, I would be denying who I really am. Forrest describes this as, “suffering from a starved sun.” He says that when we deny our true nature we, “fail to feed the sun and the spirit dies.” In tempering our shadow, it’s important not to overcompensate. In creating this list of the best essential oils, I’ve taken this idea of the middle path into account. For example, as an air sign, Libras like myself never have a shortage of ideas. Energizing oils have their place in my life, but oftentimes it’s not energy or ideas I need, it’s focus and direction. As such, I’ve created the following list to help you all find your own expression of the middle path. The idea is to practice moderation. Don’t starve your sun. Don’t overindulge it either. Use this list to experiment with finding your middle path. Like anything else in life, essential oils impact us all differently. Some of us might resonate more with one of these oils than the other. Experiment. You know yourself best. Consider trying diffusing, topical, and internal applications as different signs might prefer one over the other. Remember, the signs are archetypes. We all have each of the signs in us to some extent in varying degrees. Our job is to honor all of these twelve archetypes in pursuit of higher truths. ​Okay let’s get started! Please note that sun sign dates and keywords are pulled from the book Astrology: A Cosmic Science, by the brilliant Isabel Hickey. Aries, you are the first sign in the zodiac. You are direct, active, and often intense. You initiate new things and have a very focused, creative drive. Use essential oils to help you pick your battles in life. Learn to practice keen discernment rather than indiscriminate offense. Recommended Oils: Clary Sage, Veviter, Ylang Ylang, & Frankincense. Taurus, you have a gift for enjoying the simple pleasures in life. As a fixed, earth sign, you bring stability to the world. You are steady and strong. Use essential oils to help you avoid getting stuck in a rut. Doubt is not the opposite of faith, certainty is. While your stabilizing force is much needed, remember that we are all here to grow. Gemini, you are the most perceptive of the signs. You are taking it ALL in. You have an incredibly active mind and a desire to communicate information. Because your mind is so agile, you can often connect with anyone on any topic. Use essential oils to help you to balance all of that perception with focus. Your mind can be a bit like a bobsled without a track. Build your track. Cancer, no one feels like you do. You have a deep, internal focus on your feelings and you’re deeply empathetic to the feelings of others. You love easily. You also feel hurt just as easily. You are the Zodiac’s mother. Whether you are a mother by traditional standards or not, you are drawn to that mothering role. Use essential oils to help you avoid hiding within your shell. You can hide from the world by descending into your feelings. Come out to play and let the sun kiss your face. Leo, you love life and your path must include bright, positive, passionate, and creative activities that are life-affirming. You are at your best when you are expressing yourself and getting noticed. Use essential oils to keep your pride and ego in check. Yes, you are meant to shine, but with an inner core of humility and grace. You can be both proud AND vulnerable. Virgo, when you are at your best you are diligent, service-oriented, and have a talent for noticing what others might ignore. You are often known as both a great scholar and healer in the Zodiac. When those two skills combine, you can change the world for the better. ​Use essential oils to help you avoid becoming judgmental and picky. You know and see a lot Virgo, but there are many ways to know and see the truths of the world. Stay open, loving, and flexible. Libra, you bring harmony to the Zodiac and to the world. You love being surrounded by beauty, art, and grace, not for vanity’s sake, but because all of those ideals bring the world into greater balance. You are the halfway point through the signs and mark the day of the year when night and day are in perfect balance. Your gift is in seeing the light in the dark and the dark in the light. Use essential oils to help you avoid getting lost in the paradox. Remember to balance your idealism with pragmatism. Scorpio, you have the ability to penetrate some of the most intense elements in the universe. The Scorpio energy is the sign that can stare death in the face and then transcend it, recognizing the power of the present moment juxtaposed against the eternal. Use essential oils to avoid becoming too intense. You can be prone to obsession, moodiness, and anxiety. Visit both the darkness and the light. Sagittarius, you are on a great quest. Your life is an adventure in pursuit of higher truths. You often feel propelled from an unknown force that moves you forward and you are always open to trying something new if it helps you to learn more about life. You are a happy, optimistic, and energetic sign. Use essential oils to help you avoid overextending yourself. Balance your natural exuberance with some stabilizing energies. It’s okay to slow down once in a while. Capricorn, when you set your sights on something, there’s very little doubt that it will get done. You are probably the most determined sign in the Zodiac. You are tenaciously making your way to the mountaintop. Your assets include self-control and integrity. Use essential oils to avoid plowing people or important ideals down while you forge ahead. You are at your best when you use your power in service of others. Aquarius, because you are the Water Bearer you are often mistakenly assumed to be a water sign. Not so. You are an air sign through and through. Your live the life of the mind, of concepts, and of brilliant ideas. You are not ever meant to conform to the status quo but rather to help lead humankind to knew ways of living. Use essential oils as a way to remind yourself not to use your intelligence and vision as weapons. You can be very stubborn and spitefully eccentric. Remember, kindness and compassion are universal laws and love is the highest vibration in the universe. Pisces, you are the last sign in the Zodiac and by many accounts you are both of this world and beyond it. You are the most spiritual sign and of all the signs, it is most critical that you develop a daily spiritual practice to honor your sun. You Pisces, are awake in the dream. That is your gift and your burden. You are often an imaginative and gentle soul. Use essential oils to help you honor and support your natural spiritual awareness.